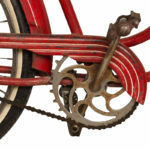 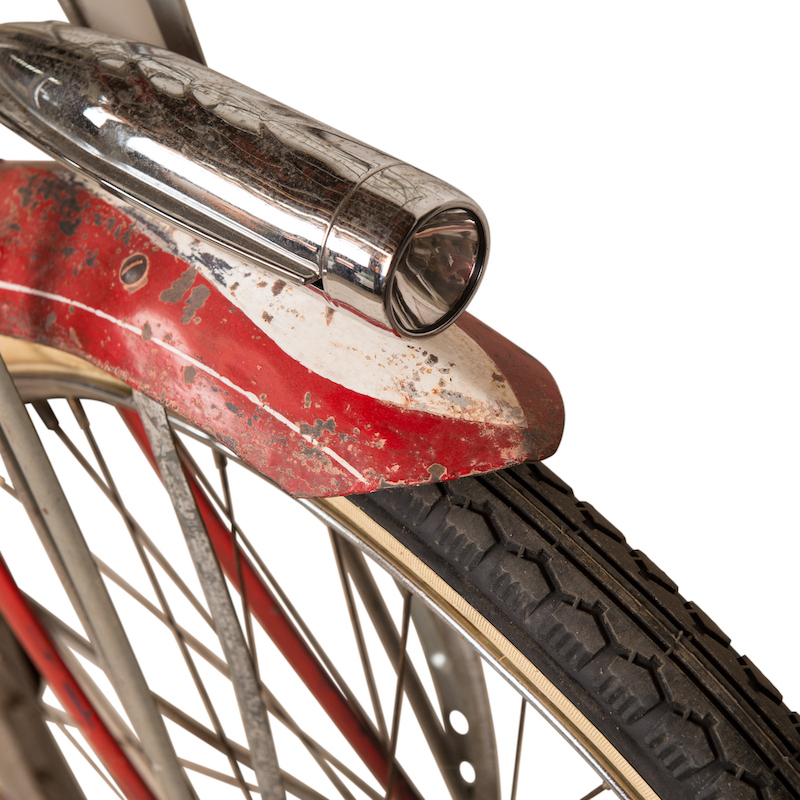 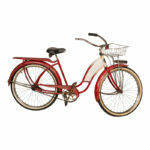 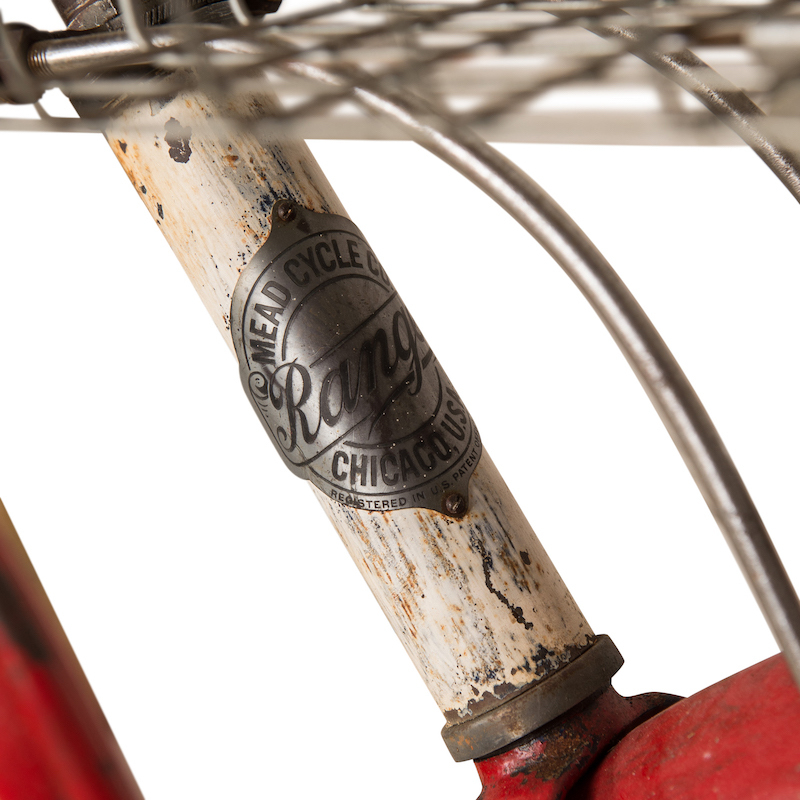 Vintage mead cycle co. ranger bicycle in red. 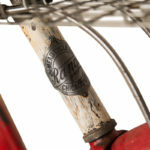 Comes a metal basket with a lori name plate. 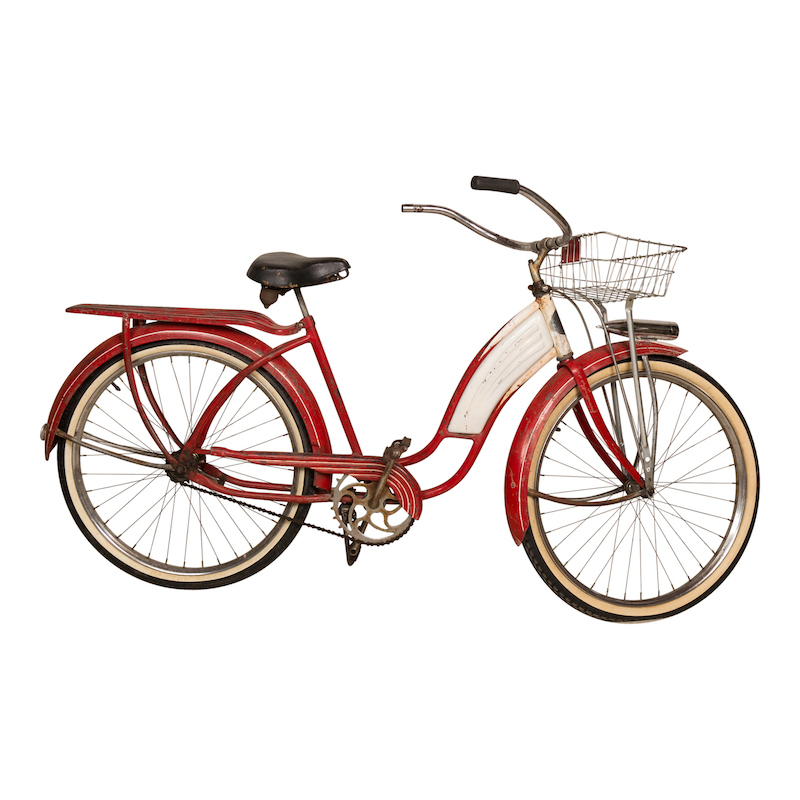 Great as a prop.